Unidentified Flying Objects - Wikileaks John Podesta E-mails. "Re: A few questions for VICE"
A CGI rendering of the object created by witness Tim Ley appeared in USA Today. [Leslie Kean Headshot] Leslie Kean<http://www.huffingtonpost.com/leslie-kean/> Author, New York Times bestseller, 'UFOs: Generals, Pilots and Government Officials Go On the Record' John Podesta: Pulling Back the Curtain on UFOs Posted: 02/20/2015 11:53 am EST Updated: 2 hours ago [http://i1.huffpost.com/gen/2636000/thumbs/n-PODESTA-large.jpg] Co-authored with Ralph Blumenthal It was the tweet heard round the worlds. On John Podesta's last day at the White House on February 13th, the longtime Presidential counselor, who is likely to chair a 2016 Hillary Clinton campaign, dashed off a confession that lit the blogosphere with thousands of retweets and comments: "Finally, my biggest failure of 2014: Once again not securing the #disclosure of the UFO files." Along with the media, which couldn't resist a spoof by late-night comedian Jimmy Fallon, conspiracy theorists are having a field day. Taking Podesta's barb as confirmation of fantastic coverups by operatives with knowledge of extraterrestrials and twisted political agendas, they imagine Podesta himself holds devastating secrets. Some are claiming with bravado that their own activism is what prompted his recent lighthearted remark. The facts hardly bear that out. Actually, as surprising as the tweet was, Podesta's position on the controversial issue was not exactly news. A staunch proponent of open government, he has previously called for the release of any government files on unidentified flying objects, or more broadly, unidentified aerial phenomena (UAP), that merit such action under existing law. As Chief of Staff for President Bill Clinton, Podesta pressed for Executive Order 12958 which declassified broad categories of information formerly withheld on the grounds of national security. In 2002, Podesta began publicly supporting what became a landmark Freedom of Information Act (FOIA) lawsuit filed by the Coalition for Freedom of Information, an independent advocacy group. NASA had been stonewalling and refusing to release its records concerning a significant 1965 UFO incident in Kecksburg, PA. Many witnesses described seeing a fireball in the evening sky, followed by a controlled landing and the systematic military recovery of a spacecraft-like object, rushed away on the back of a flatbed truck. As reported by local radio and newspapers, U.S. military personnel cordoned off the area, investigated the site, and left without ever providing a full report of the incident other than to dismiss it as a meteor. [http://s.huffpost.com/images/social/pin_icon_onhover.png]<http://www.pinterest.com/pin/create/button/?url=http%3A%2F%2Fwww.huffingtonpost.com%2Fleslie-kean%2Fjohn-podesta-pulling-back_b_6717872.html&media=http://images.huffingtonpost.com/2015-02-20-drawing-thumb.jpg&description=John%20Podesta:%20Pulling%20Back%20the%20Curtain%20on%20UFOs | Leslie%20Kean>[2015-02-20-drawing.jpg] One of many witness drawings of the Kecksburg object. Cell phones were not in use then. (Credit: courtesy Stan Gordon) During the lawsuit's final hearing in U.S. District Court for the District of Columbia in 2007, the exasperated Presiding Judge, Emmet G. Sullivan, declared that "heads should roll" at NASA and that NASA's case was a "ball of yarn." He approved a settlement that required NASA to comb through hundreds of documents in specified locations, and provide them to journalist and plaintiff Leslie Kean, under the watchful eye of the court. Success at forcing an agency to do this kind of extensive historical search under FOIA without Congressional intervention was unprecedented. Podesta called the victory "a triumph for open government and the spirit of inquiry." [http://s.huffpost.com/images/social/pin_icon_onhover.png]<http://www.pinterest.com/pin/create/button/?url=http%3A%2F%2Fwww.huffingtonpost.com%2Fleslie-kean%2Fjohn-podesta-pulling-back_b_6717872.html&media=http://images.huffingtonpost.com/2015-02-20-Podesta3-thumb.jpg&description=John%20Podesta:%20Pulling%20Back%20the%20Curtain%20on%20UFOs | Leslie%20Kean>[2015-02-20-Podesta3.jpg] John Podesta provided public support during the FOIA lawsuit against NASA, filed by the Coalition for Freedom of Information in 2003. (Credit: courtesy SCI FI Channel) But - there was one problem. The resulting documents did not include one iota of information relating to the Kecksburg case, despite an earnest and thorough effort by NASA staff. Three hundred boxes were searched, on top of the hundreds of pages released during the court proceedings prior to the settlement. Yet they revealed nothing about the case at hand. Could these be the "UFO files" that Podesta was alluding to in his tweet? Might there be others as well, stored in locations inaccessible to the FOIA in violation of the law? Podesta has been a brave voice for sanity and objectivity on a subject that is generally considered unworthy of serious discussion. In a foreword for Kean's 2010 book, UFOs: Generals, Pilots and Government Officials Go On the Record, Podesta wrote: "The time to pull the curtain back on this subject is long overdue." Describing himself as "a curious skeptic" who understands the difference between fact and fiction, he said the American people "want to know, and they can handle the truth." 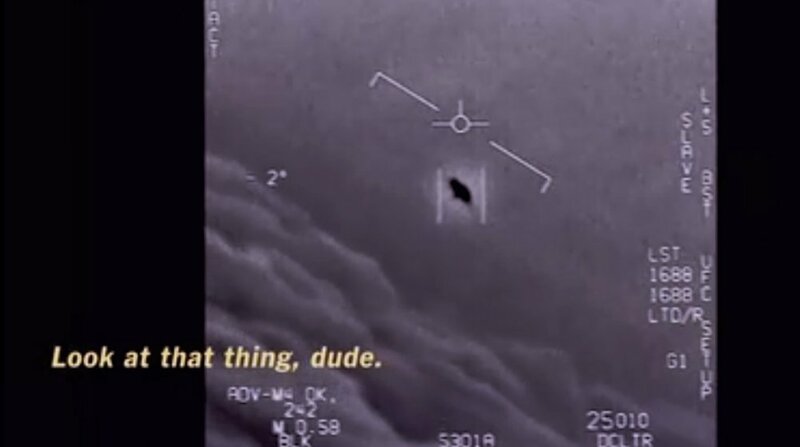 Official investigations around the world have consistently found that a small but significant percentage of sightings defy conventional explanation, most of them involving police officers, military personnel, pilots and air traffic controllers. Physical evidence such as radar returns, measurable effects on the environment, or scientifically analyzed photographs accompany the best cases. In 2011, Podesta hosted a private meeting of government officials, scientists, and military and intelligence experts, organized by Kean and her coalition, at his liberal think tank, the Center for American Progress. A panel presented expert briefings backing the establishment of a modest official project to evaluate UAP in cooperation with other countries. "The official position of the U.S., which has denied the existence of any abnormal aerial phenomena since 1969, is a weighty handicap and has a negative influence on the attitude of many governments," wrote Yves Sillard, former Director General of the French National Space Center, in his briefing paper. "If this position could be modified, the U.S. would probably play a leading role in this necessary international effort." Ricardo Bermúdez, a retired Air Force general who directs the Chilean investigative effort, agrees. "United States participation would be beneficial for all countries," he stated. A U.S. agency is long overdue. The Air Force's official investigation, Project Blue Book, was terminated in 1970 after two decades, since no sightings were determined to pose a national security threat. Yet over 700 cases remained unexplained. Since then, no branch of the government has investigated UAP. This lack of both transparency and responsive action to alarming UFO incidents undermines public trust. Some unidentified objects may be attributable to foreign military aircraft or drones, and should be of general defense interest. Other phenomena display such unusual characteristics that they are of broader scientific interest. Under certain circumstances, UAP can even raise air safety concerns. Still, the FAA discourages pilots from reporting any such incidents, in stark contrast to policy in Europe and South America. Official agencies in France and Chile, along with other South American countries, conduct rigorous, open UAP investigations. In 2014, the heads of these offices met in Paris for the first time, to begin a cooperative venture. The U.K. spent decades collecting data, but closed down its office in 2008 due to the overwhelming stream of Freedom of Information requests besieging the staff. Interest was so great that the Ministry of Defense decided to simply release all its documents online. [http://s.huffpost.com/images/social/pin_icon_onhover.png]<http://www.pinterest.com/pin/create/button/?url=http%3A%2F%2Fwww.huffingtonpost.com%2Fleslie-kean%2Fjohn-podesta-pulling-back_b_6717872.html&media=http://images.huffingtonpost.com/2015-02-20-Geipan-thumb.jpg?random=1424463167324&description=John%20Podesta:%20Pulling%20Back%20the%20Curtain%20on%20UFOs | Leslie%20Kean>[2015-02-20-Geipan.jpg] Xavier Passot, director of the French UAP agency GEIPAN, and Ricardo Bermúdez of Chile's CEFAA met on Oct. 30, 2014 to initiate a cooperative effort (Credit: courtesy CEFAA) Yet here at home, a 2012 poll showed that nearly 80% of Americans believe the government has concealed information about UFOs. As a result, frustrated citizens turn to fringe conspiracists seeking some way of understanding our irrational denial of this very real phenomenon. When UFO events occur here, civilian groups do the best they can in battling the obstacles to investigating them. At Chicago's O'Hare International Airport on Nov. 7, 2006, a metallic disc was observed hovering over the United Airlines terminal for at least five minutes, before shooting straight up in the sky, at great speed, cutting a hole in the cloud bank. This was not a flying machine known to any of the aviation experts who witnessed or later analyzed the event. 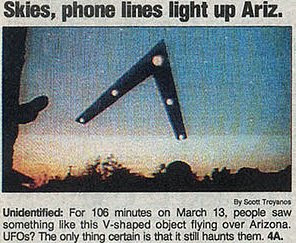 On March 13, 1997, hundreds if not thousands of citizens, including the governor at the time, saw massive delta-shaped objects gliding silently over Arizona. Like the Kecksburg case, this event has never been explained despite a class action lawsuit filed in 2000 by witnesses in Phoenix. A court-ordered search for information was issued to the Department of Defense, but once again, no pertinent records were obtained. Nonetheless, much more data on UFOs has been accumulated than ever before, and files have been released around the world. The phenomenon's physical reality is now firmly established. But its nature and origin remain a problem. Meanwhile, astronomers have reported that there could be as many as 40 billion habitable Earth-size planets in our galaxy; one out of every five sunlike stars has a planet the size of Earth orbiting it in the Goldilocks zone. We need to join the other countries taking responsible action in addressing this persistent mystery, preferably at the White House level where The Office of Science and Technology Policy is well positioned to take on this task. John Podesta supports the effort to appoint a government staffer for this purpose - and that is no surprise. ________________ Ralph Blumenthal is a former New York Times reporter who has written on UFOs. Leslie Kean is co-founder of the Coalition for Freedom of Information and the author of UFOs: Generals, Pilots, and Government Officials Go On the Record (Crown Publishing Group, 2010). On the US "Moon Landings"